Had lunch with my family at Wondermama today and tried a couple of new dishes there. Told you I would be back. Tried an old instant favourite which was the Spicy Salmon Mini Naan Pizza (RM17.90). My opinion on it remain the same. It is still amazing. Told you I would come back just for this dish again and again. If you want to read more on it, you can read it on my previous post on Wondermama. Another thing we gave another try was the Seafood Tom Yam Fried Rice (RM17.90) and unfortunately, our opinion on it stayed the same. The rice lack Tom Yam flavour despite the name. It was too subtle and almost barely there. The amount of anchovies in the rice over powered the flavour and made it somewhat taste like Nasi Goreng Kampong. A new try this visit was one of their famous Nasi Lemak. Nasi Lemak covered almost a whole page of their menu. So we assumed it would be a good one. However, the generous portion of the dish couldn’t not hide the fact that everything was just average about the Nasi Lemak 4.0 (RM18.90). There was nothing special to it. 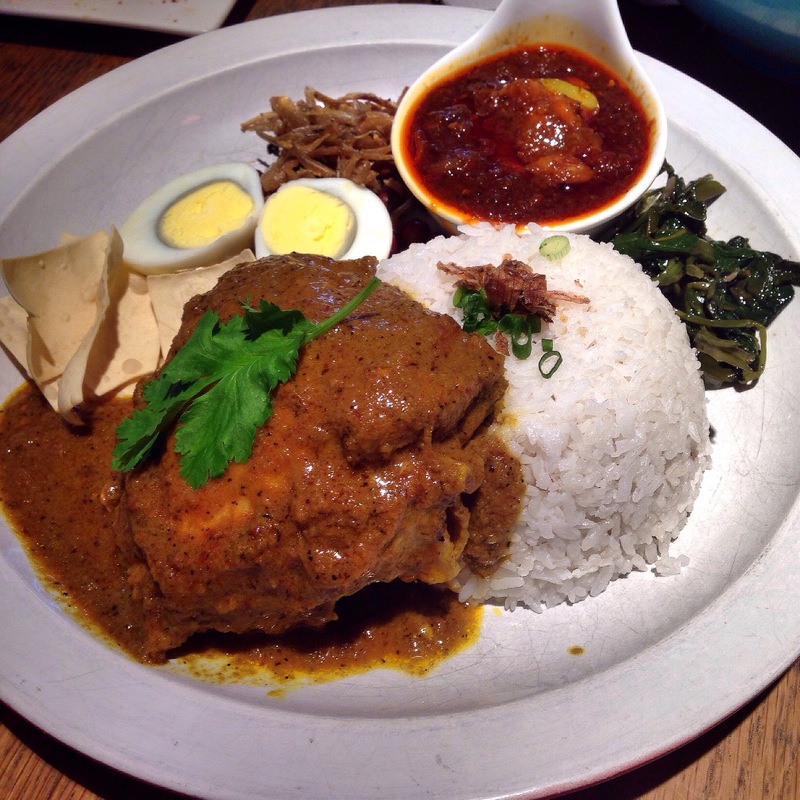 The rendang tasted like Chicken Kurma, the rice was not fluffy rather too sticky. However, the highlight of the whole plate got to be the Sambal Petai Udang. The sambal was a balanced between sweet and spicy, and they were not shy with their petai. It added a strong taste to the sambal and I am a petai lover so it was bloody amazing to me. I ordered the Beef Burger (RM17.90) and was very much disappointed. When I saw the menu, I was taken aback when I saw that they were putting tartar sauce with their beef burgers. I had to give it a try to see if I’m missing out on anything, maybe beef taste amazing with tartar sauce. Well, beef and tartar sauce are not meant to be together. The whole flavour did not mash up well at all. The beef patty was probably overworked and overcooked. It was tough and tasteless. The salad it came with was a bit strange. The dressing tasted like some kind of chutney and it was strong. Did not fancy that at all. The fries were good and I enjoyed dipping it in the spicy mayonnaise and garlic sauce that they had on the table. 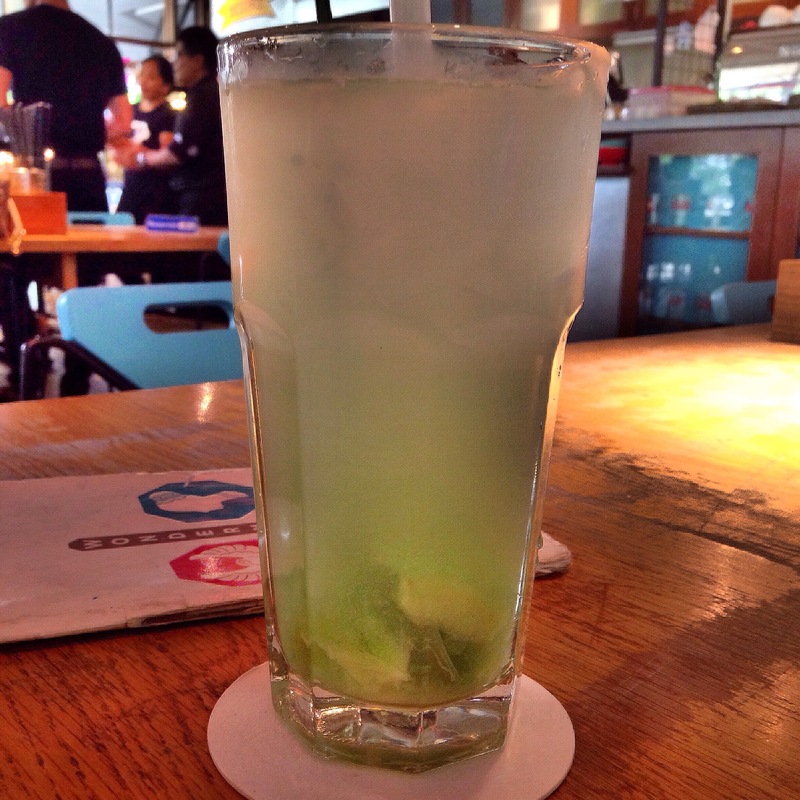 I had soursop guava juice to drink and thoroughly enjoyed it. The soursop juice was fresh and had bits in it which I love and they added a drop of guava cordial I suppose to add the “guava” in the juice. It was not too sweet and it was refreshing. My parents liked the restaurant for something that serves modern malaysian food. It is overall a good place to try. 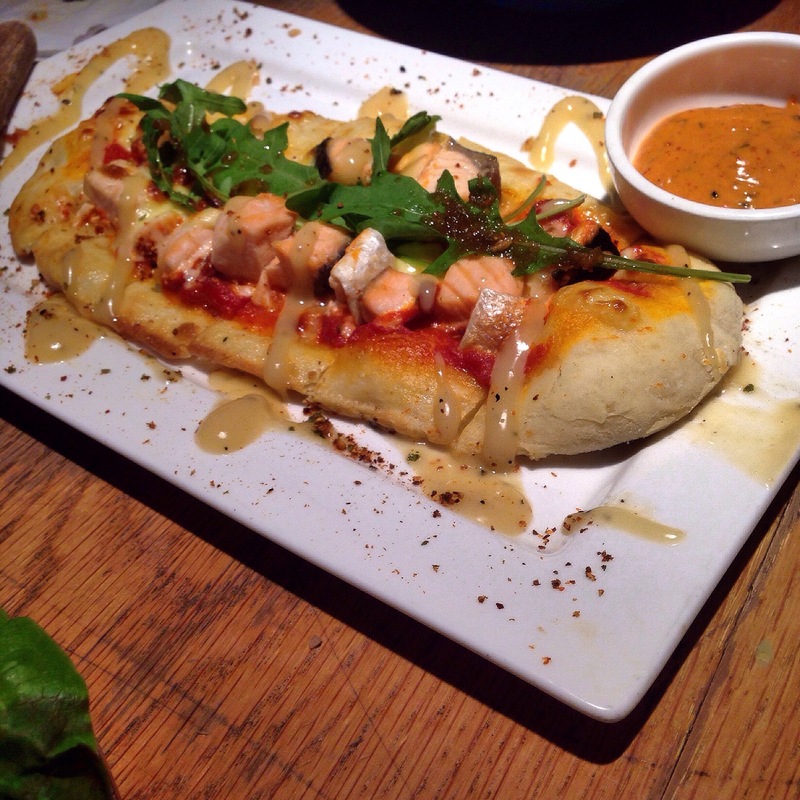 We’ll probably will just come back for the Spicy Salmon Mini Naan Pizza when we crave for it. Trust me, we do. It is that good. What’s your favourite dish from Wondermama? Went to Village Grocer in Bangsar Village and my sister and I screamed when we saw Walkers crisps there. We’re used to seeing Lays potato chips around in KL but never Walkers. We got too excited we emptied the rack and took all that they were selling. It brings back the good ol’ memories of UK. I’ve been missing UK a tad too much lately and this just made my month! Since I had an early start today – with certificate of legal practice (CLP) class at 9 am, I needed to wind down and read something that wasn’t law in the afternoon. 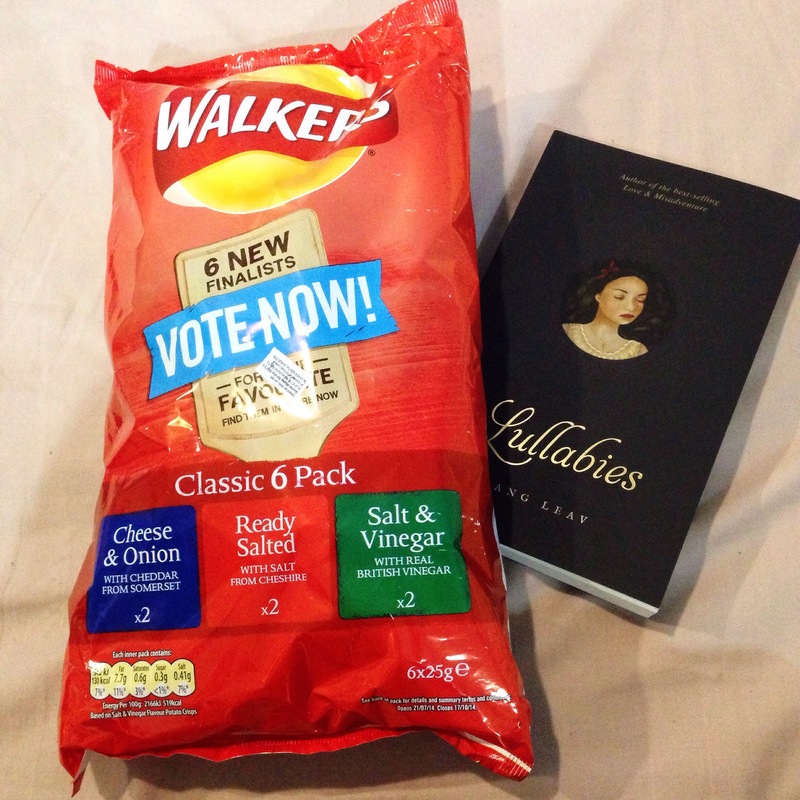 I started reading Lullabies by Lang Leav which I absolutely adore and had some Walkers Salt & Vinegar crisps to make it a perfect match to wind down to. I know its just crisps, but we used to have this all the time since Walkers hold the majority of british crisps market. And it is delicious too. A little taste of UK. 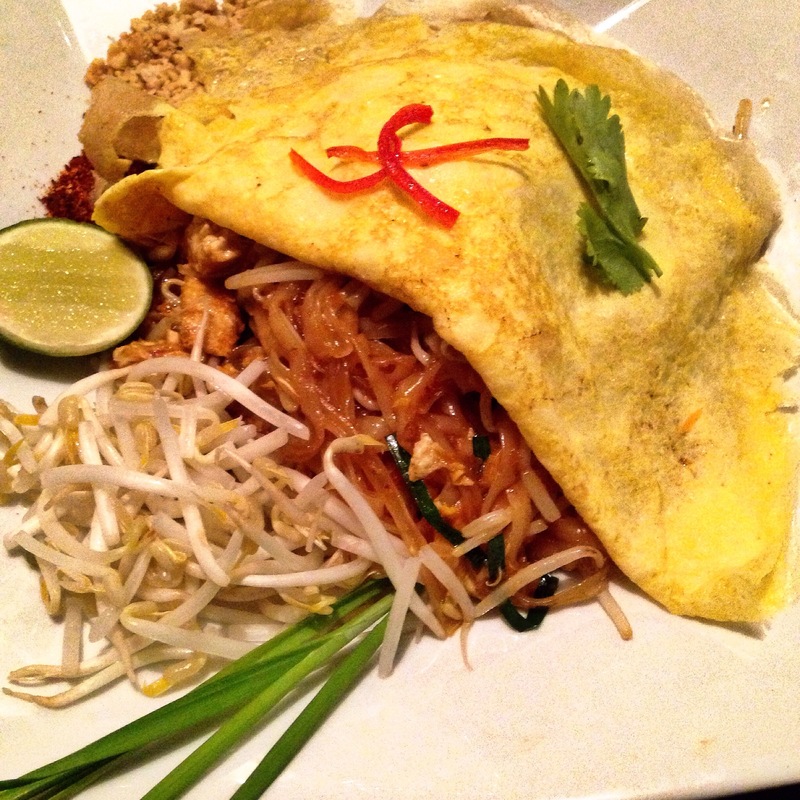 Pad Thai is almost certainly the best-known examples of Thai cuisine worldwide. This simple stir-fried rice noodle is my absolute favourite when it comes to Thai cuisine. When I went to Krabi, Thailand, Pad Thai was the only thing I ate! Surprisingly, I have struggled to find a decent Pad Thai in Malaysia even though we have plenty Thai restaurant all over the country. My search was over when I tried the Pad Thai at Absolute Thai. It brought back the beautiful memories I had in Krabi. It had a hint of spicy, a little bit of sweet and utterly delicious. And the presentation isn’t bad either. Every single time, in any branch, Absolute Thai absolutely deliver when it comes to their Pad Thai. I never go anywhere else when I want me some Pad Thai. 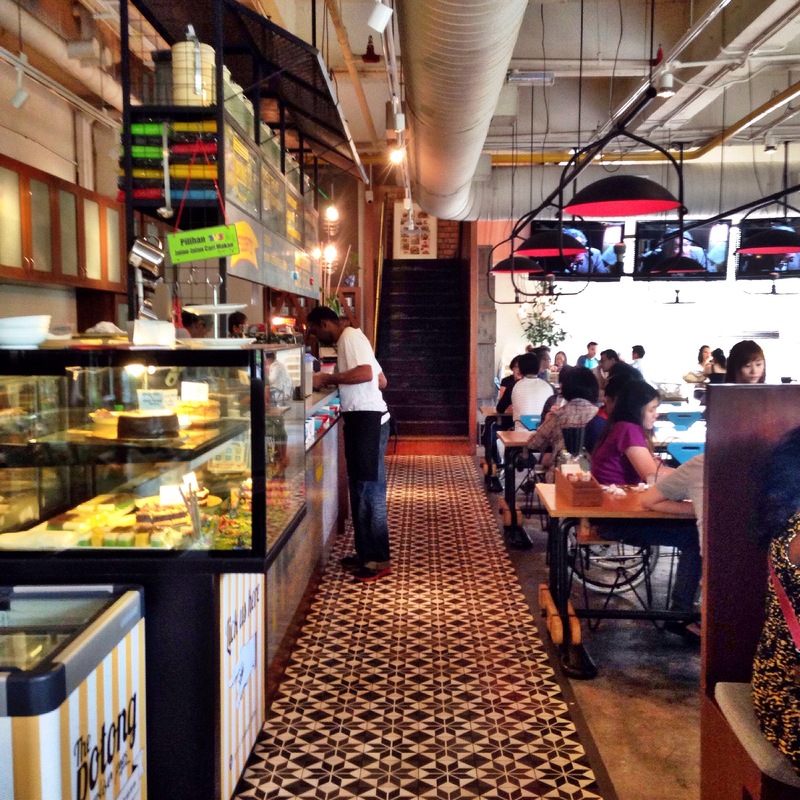 There are plenty trendy eateries and bars in Bangsar now. It is always a joy to head there just for lunch or dinner. Most times, you won’t be disappointed. Today, I wanted to try something I would not normally go for- fusion food. I am not one to enjoy fusion food as I always think why mess with what is already good on its own and try to make it better because most times they fail. 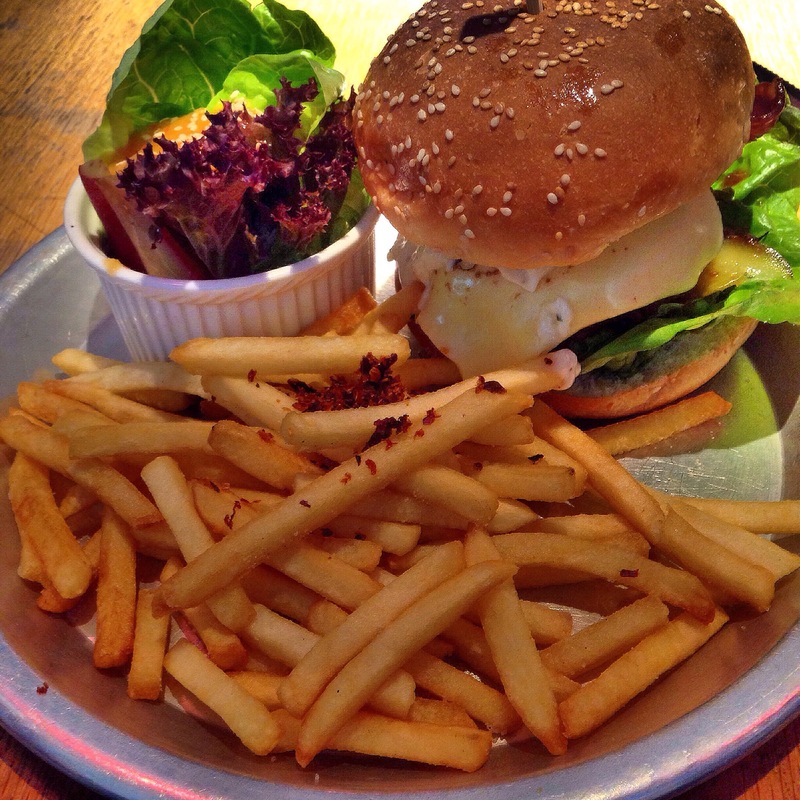 I met up with a friend in Bangsar and we went to Wondermama for lunch. As I walked in, I was digging the shabby-chic decoration; the old school yet contemporary interior made the whole cafe look very trendy. 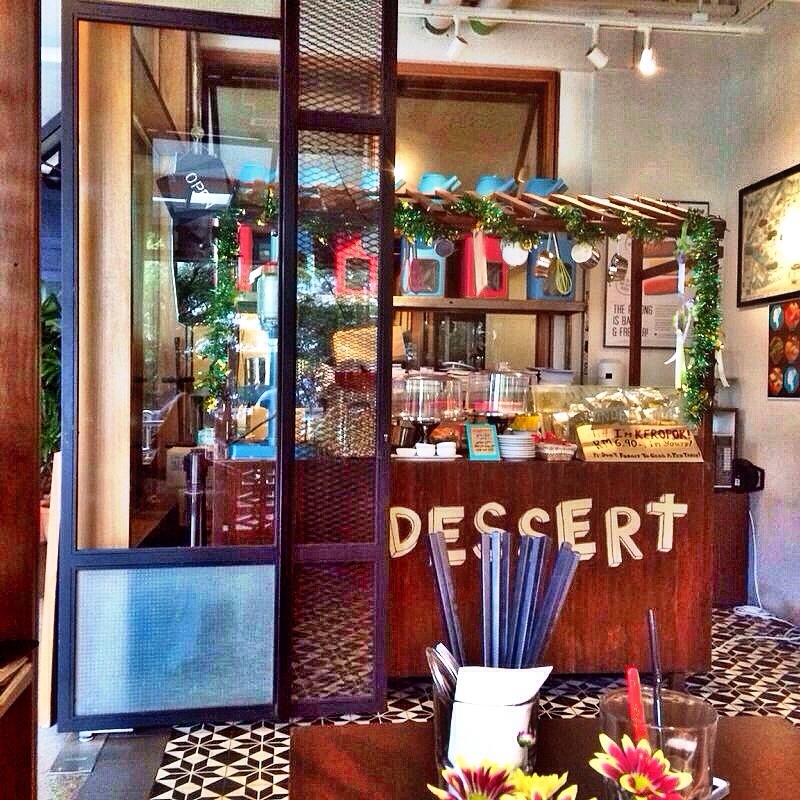 A dessert bar just by the door displayed many choices of kuih that was on offer. We were seated right in front to the dessert bar. The waitress came to our table and asked us if we wanted to try their kuih selection as it was on 2 for 1 offer after 2pm. One slice of kuih was RM1.50 which I think is reasonable for a fancy cafe. We opted for the kuih lapis and kuih seri muka. Both were decent. I was shock to see the bottom of the seri muka blue instead of white but it didn’t add any extra flavour to the kuih. The glutinous rice was overcooked and was very sticky and melts in your mouth. The green coconut milk pandan bit was nice. 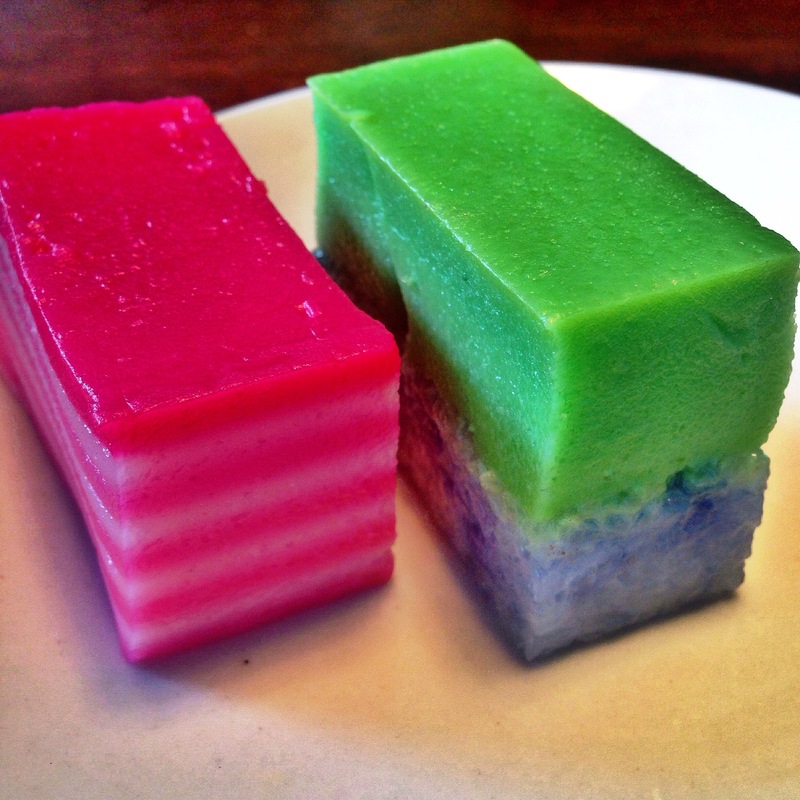 The kuih lapis was decent – wasn’t too sweet or anything and it had the right texture and colour. To start, we ordered the Spicy Salmon Mini Naan Pizza (RM17.90). The salmon chunks that were scattered on the naan bread were beautifully marinated and seasoned. The fish flaked off perfectly as you sink your teeth in the pizza. I doubt the naan bread was cooked in a tandoor oven or even homemade but nonetheless it mimicked a pizza base well as it was crunchy and flaky. The cheese were coating all the bits and bobs of the pizza generously. Greens came in a form of rocket leaves and it added peppery taste to compliment the spiciness of the salmon and the cheesiness and creaminess of the pizza drizzled with herb mayonnaise. Although the price is a bit high for something so small, it was a gorgeous dish that I will definitely come for again and again. For my main, I ordered the most talked about Nyonya Laksa (RM14.90). My picture above did not do the dish justice. It was vermicelli noodles with sliced cucumber and fried egg, fish cakes, prawn, cockles and tofu soaked in Laksa gravy. 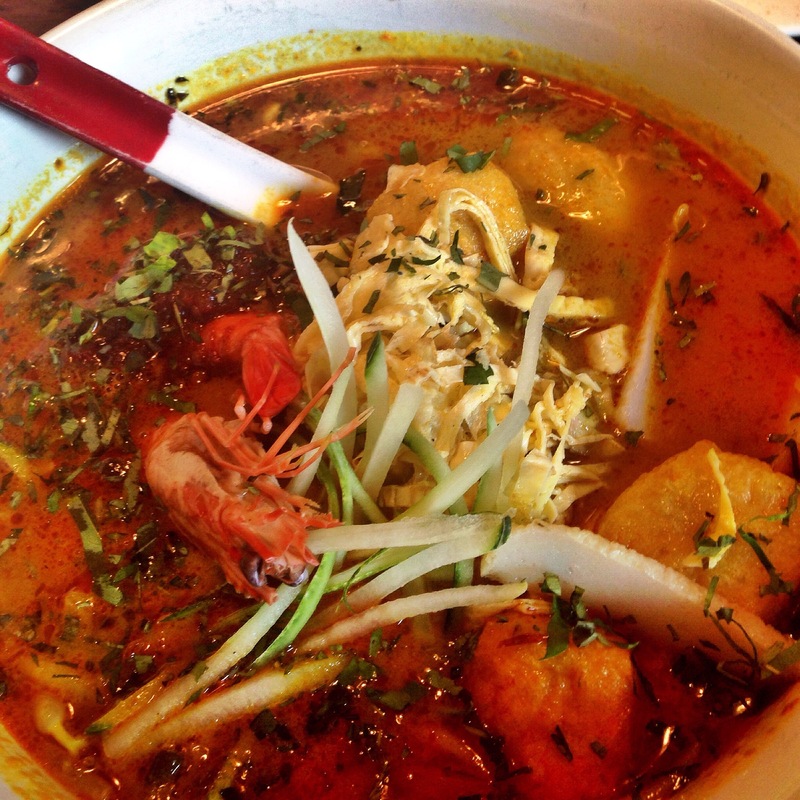 The laksa gravy was thick and full of flavours. It was nothing short of delicious. You can taste the authenticity of the dish with every bite. The cockles were fresh that it didn’t make the dish smells funny and it didn’t overpower the flavour of other ingredients. It lived up to the hyped and amazing reviews. Wondermama got the Nyonya Laksa on point! The portion was huge which made up for the above average price. My sister had the most expensive Maggi Goreng of her life today when she ordered the Special Seafood Maggi Mee Goreng for RM14.90. 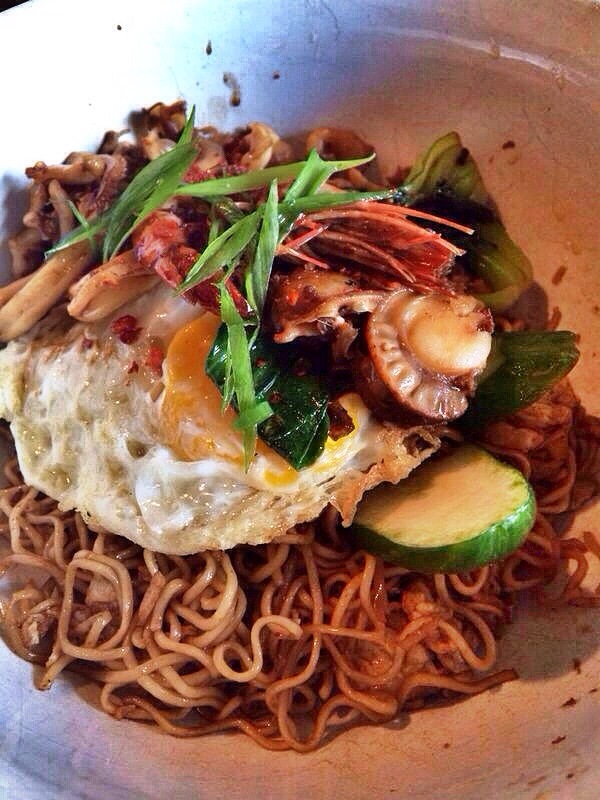 To justify the price, this dish did come with a huge amount of seafood almost as much as the noodles. However, due to the heavy amount of seafood, the flavour of the noodle dish that was made with Wondermama’s special homemade spicy sauce instead of the usual curry powder that came in a packet with the Maggi Mee was overpowered by the fishy smell and taste coming from the scallop. The dish was very greasy so do remember to toss it before you eat it. For the amount that they charge, this dish was a disappointment. My advice? Give it a miss when you are over at Wondermama. 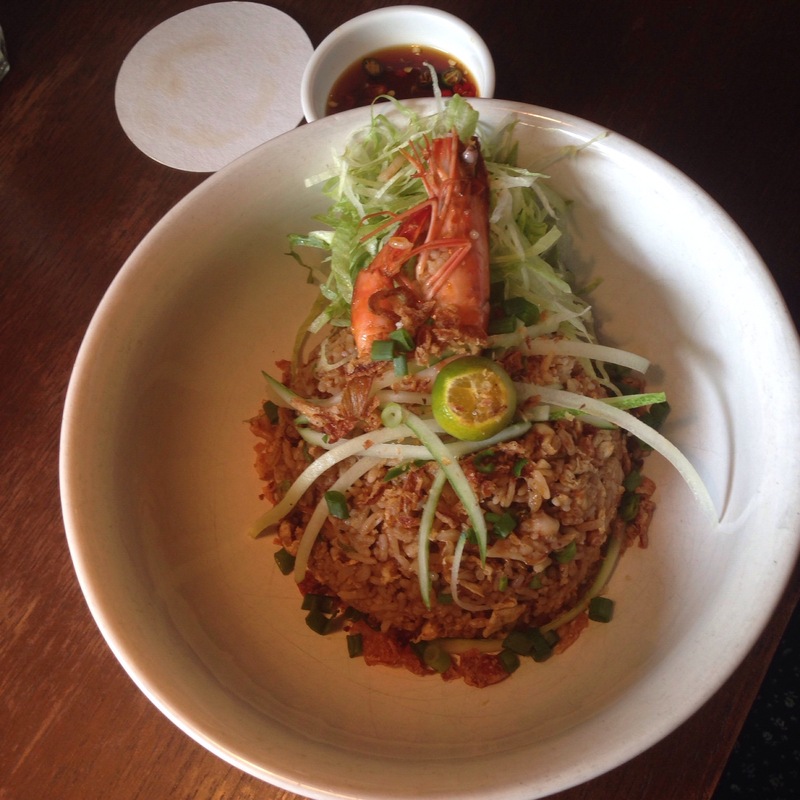 Just like the Maggi Goreng, this dry dish was served in a bowl which baffles me a little bit. Were they running out of clean plates? Anyhow, my friend ordered the Seafood Tomyam Fried Rice. The tomyam flavour was very mild, close to none. This dish had a lot of anchovies in it and that made the dish a tad salty. Chopped bird eye chillies were combined together with the rice to make it spicy. Don’t worry, this was not tongue burning spicy. My friend said that she enjoyed it even though it was slightly too salty. 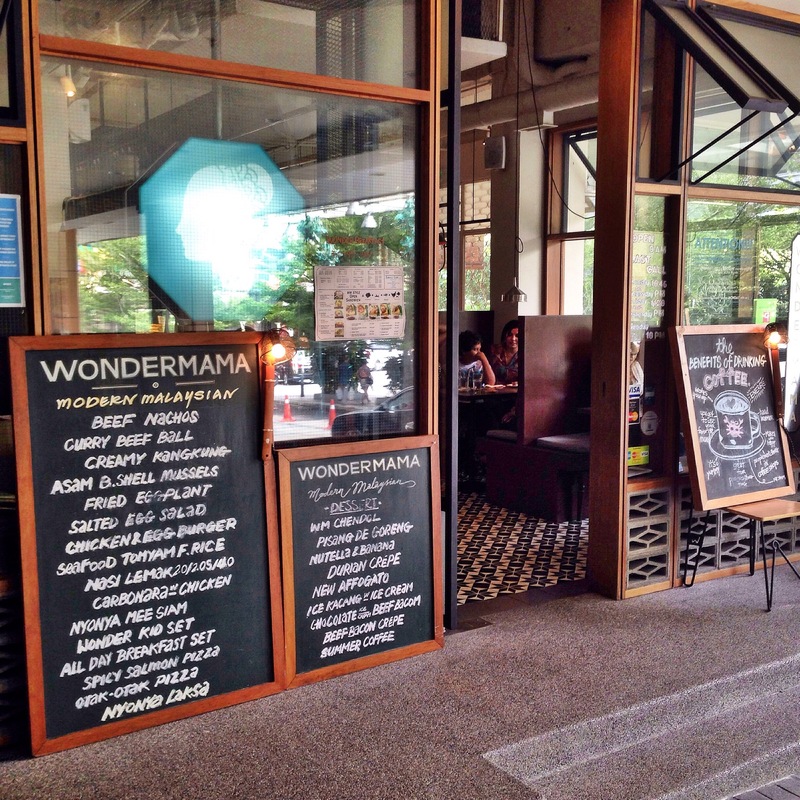 I must admit, Wondermama had a few dishes that they successfully tweak to modernised it and made it better. I say, keep it mostly authentic and add just a tiny twist to make it interesting and you’ll have an amazing dish. If you try to change too much what is already loved by Malaysian, it might not be enjoyed by many like the Maggi Goreng. Nonetheless, I thoroughly enjoyed my meal in Wondermama. 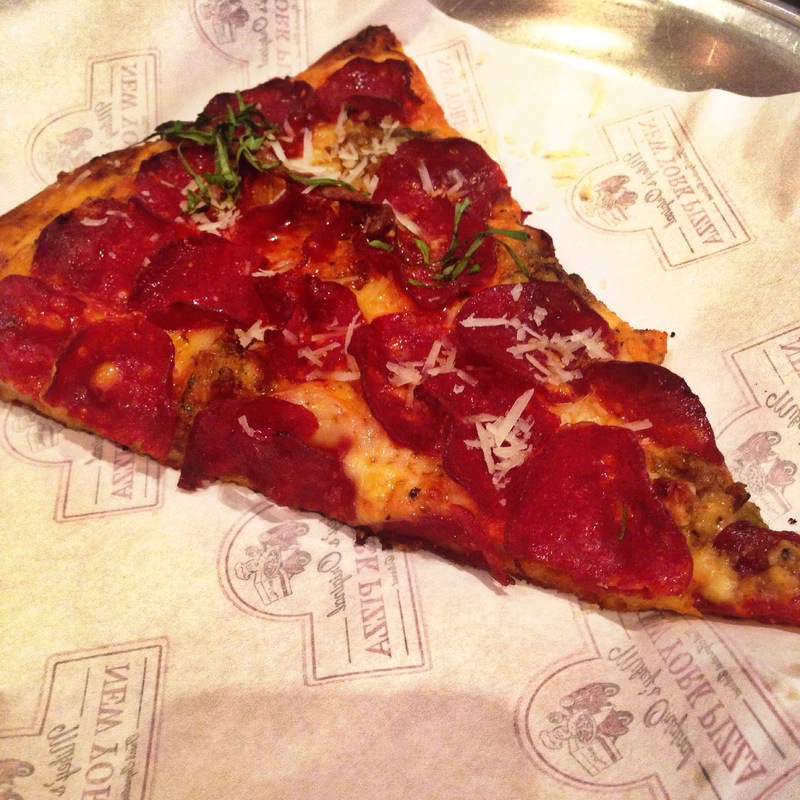 Mikey’s Original New York Pizza is probably the first to serve Malaysians with pizza-by-the-slice. The New York style pizza restaurant tries to be as authentic as they could possibly be. The slices are huge and a whole pie pizza is humongous just the way they do it in the big apple. It is a rather small restaurant for the hype it has been getting. 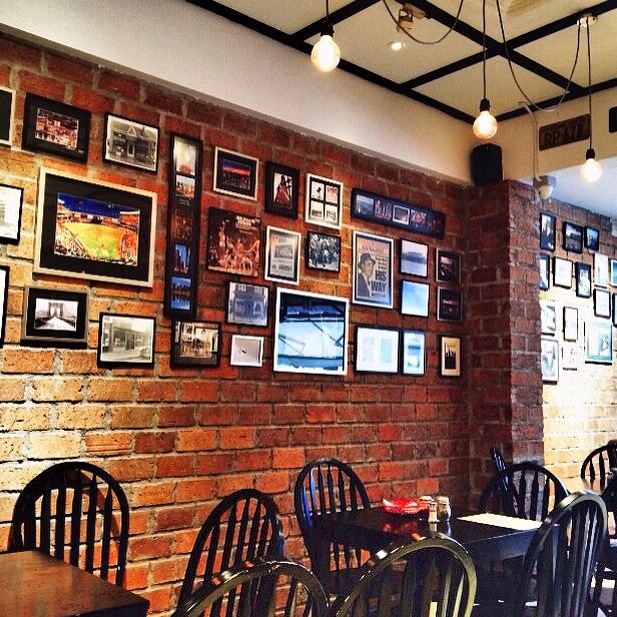 As you walk in you see the bare red brick walls with pictures of New York landmarks hanging on it. We were there for lunch and it wasn’t full. We were attended to immediately and was given the menu. You have to order at the counter and they will deliver the food to you. It is good to note that they only do cash, no payments by card. My sister and I ordered 4 slices of pizzas and 2 sides for the both of us. 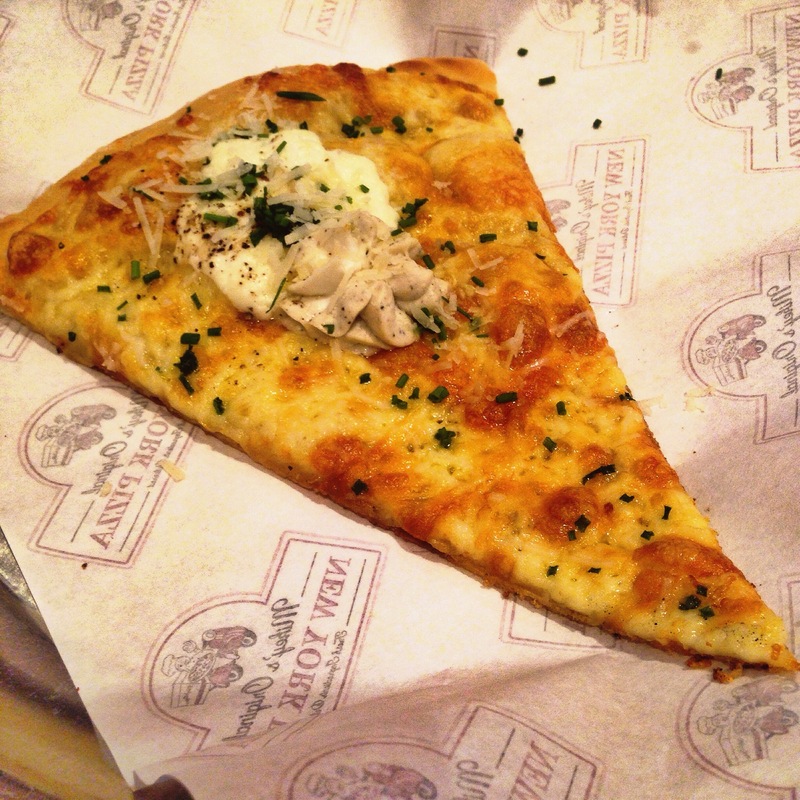 The first slice was the Classic New York Pizza (RM8.88). This had to be my favourite pizza of the day! The base was thin and crispy, the tomato was fresh and it was just the right amount; not too much that it leaks when you bite the pizza and not too little that it was dry. The blend of mozzarella cheese and the grated Grana Padano cheese was just perfect. It added a little saltiness to the pizza. 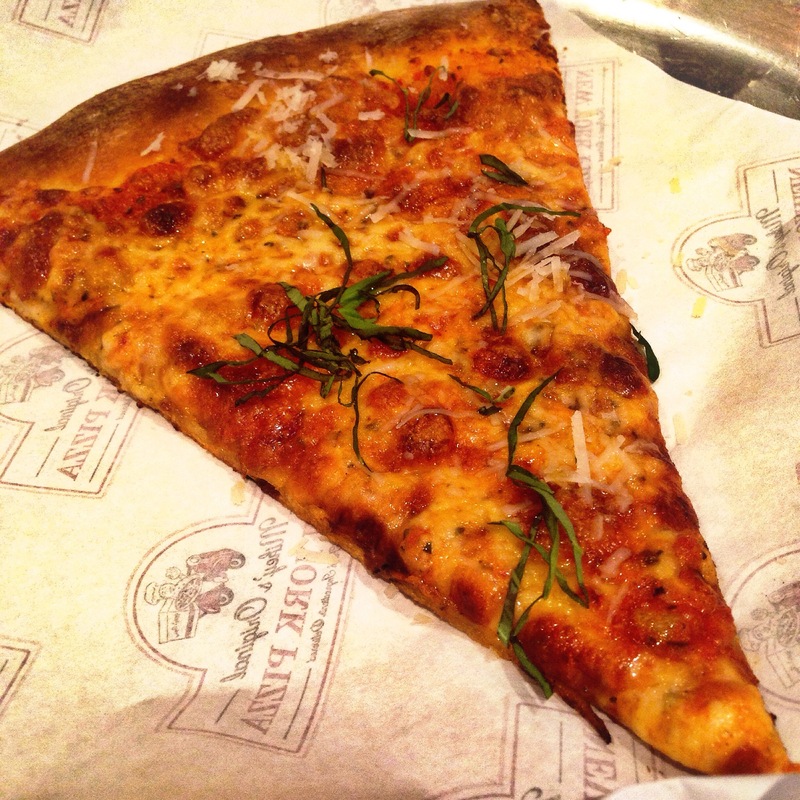 The thinly sliced fresh basil tops the pizza and added that extra flavour to an already amazing slice of pizza. This got a thumbs up on the menu, it sure did get a thumbs up from me. 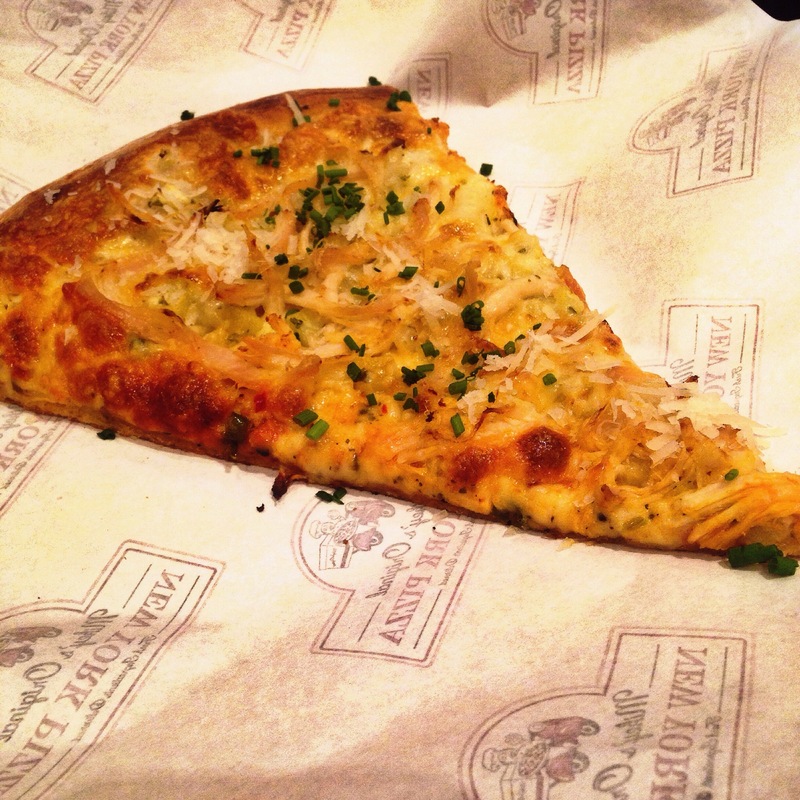 The Pizza Bianco (RM10.88) was a chef’s favourite. However, it didn’t tickle my fancy. I have mentioned previously how much I am obsessed with 4 cheese pizza and that I am looking for the perfect one in Malaysia. I had high hopes for this slice but was disappointed. The base was thin and crispy, nicely baked. All of the base was gorgeous. But the combination of the mozzarella, ricotta, cheddar and goats cheese didn’t do it for me. I found it to be too drying and that the dollop of cheese on the pizza was too strong to be at one spot of the pizza. It was not terrible but it was not great either. For meat lovers like myself, looking at the menu, The Tony Soprano (RM15.88) description on the menu would make you drool. “Fit for a boss! This pizza is classic union of Italian/American specialties; meatballs, sliced steak, pepperoni, roasted peppers and roasted garlic, topped with mozzarella cheese.” I know, it sounds delicious right?! The steak, roasted peppers, were hidden under the pepperoni and cheese. The peppers added sweetness to the pizza and the meatballs and steak was distinctly delicious. The pepperoni however were a too thinly sliced that it ended up being super crunchy. The garlic was cut rather large and it was not cooked through. They are generous with their cheese though I must say. That is always good when it comes to pizza. My sister thoroughly enjoyed this slice of pizza but mentioned that if the pepperoni was slightly thicker it would’ve been better. I agree to that and also maybe add a bit more tomato sauce on the base to avoid it being too dry. Hawaiian Pizza (RM14.88) is the absolute classic for my family. We love pineapples on pizza. Mikey’s Original take on the classic hawaiian was good. The shredded chicken was crunchy and the pineapples salsa was sweet and had a bit of a spicy kick to it. However, they topped the pizza with mozzarella and cheddar cheese which I think made it slightly drier than I would’ve preferred. Nonetheless it was still satisfying. 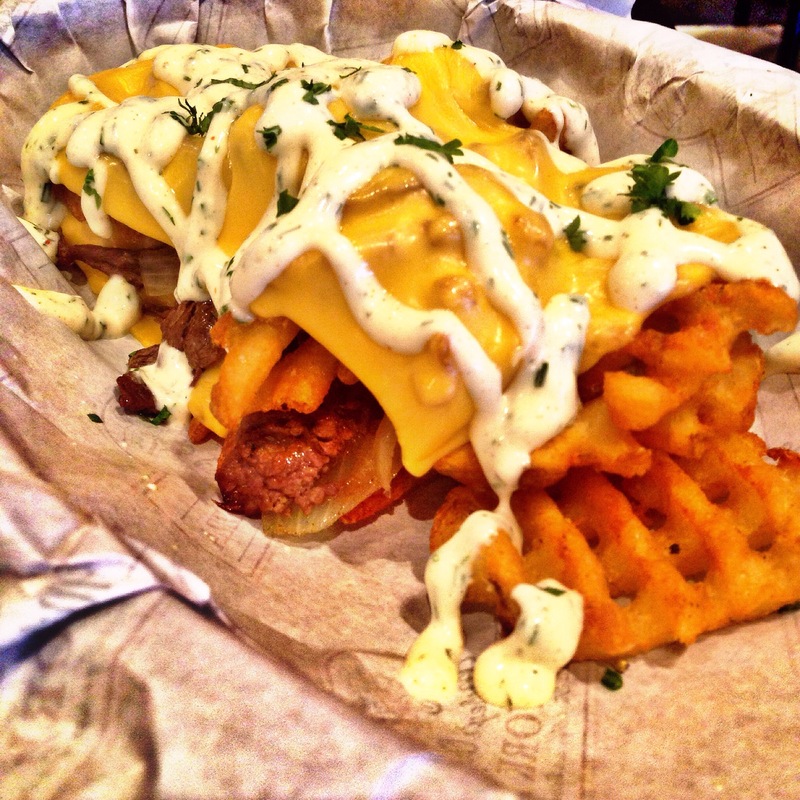 As for sides, we had the Manhattan Waffle Fries (RM15.88) which was a hearty blend of thinly sliced steak, caramelised onions, cheddar cheese and covered with their ranch dressing. The steak was very tender and nicely seasoned. I would have loved it if the caramelised onion was cooked a bit longer to intensify the caramelisation. Cheddar cheese that was mentioned on the menu was just your typical sliced cheese which I was a bit disappointed with. Their ranch dressing was a great compliment to the overall dish. Boneless Buffalo Chicken Wings (RM12.88) were the other side dish we ordered. I definitely enjoyed this side dish. The batter of the chicken was crispy yet the chicken meat was still juicy. 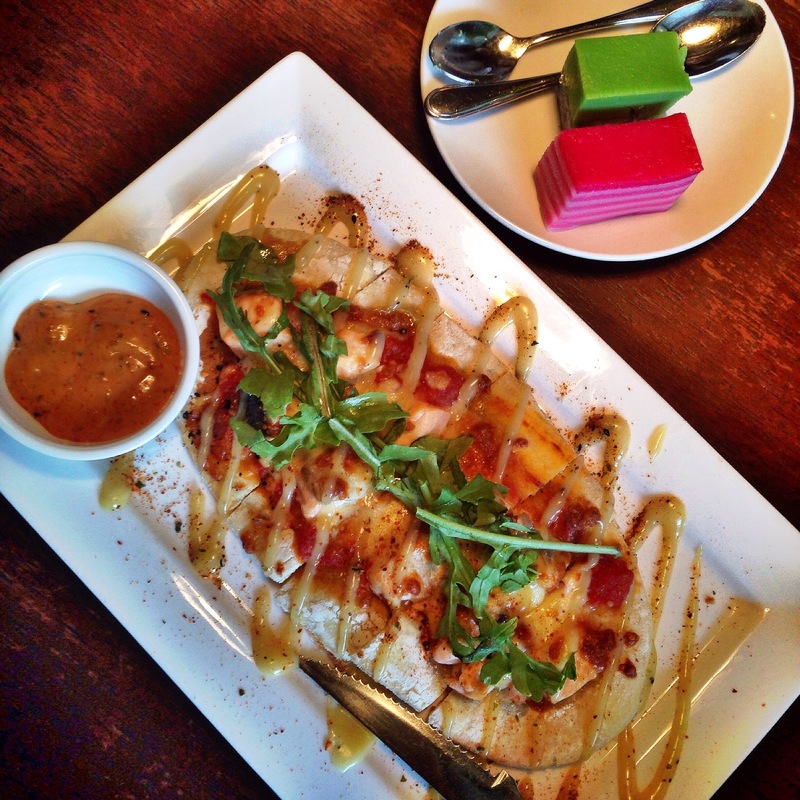 The chicken was covered in Tabasco and you get that spicy tangy taste that can be quite strong. 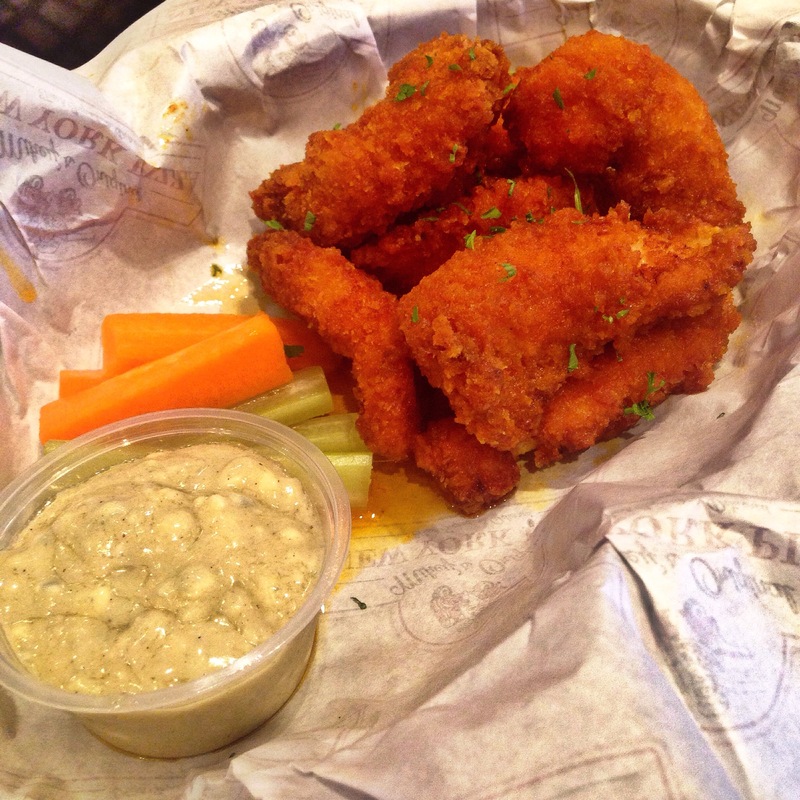 Then you dipped it in the blue cheese dip to calm the tanginess and the flavours harmonised beautifully. This is a good side to cut out that overwhelming cheese flavours you get from all the pizzas. 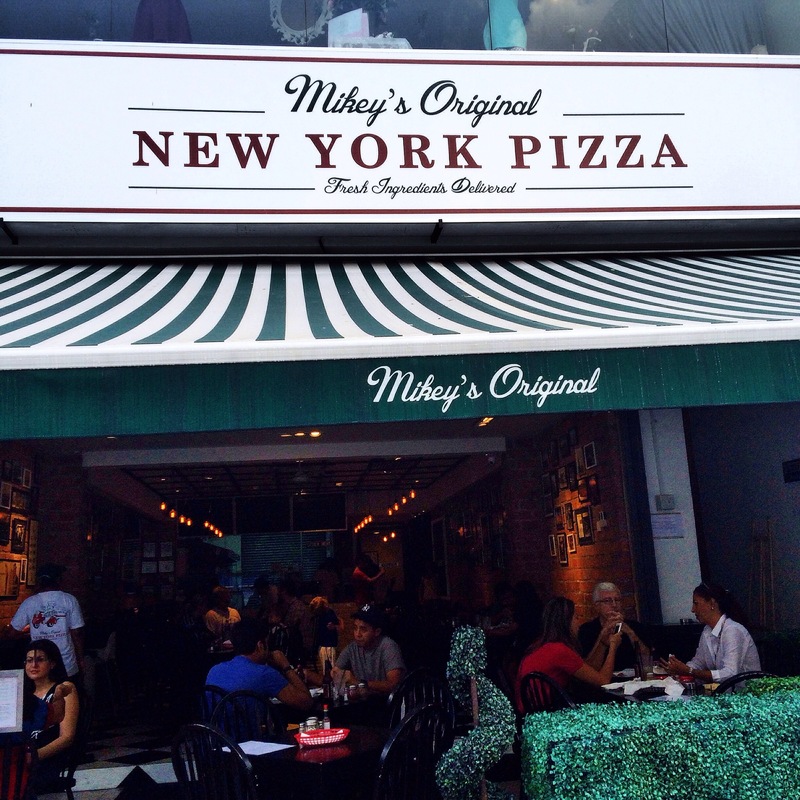 I have never been to New York, but I would like to think that Mikey’s Original did a good job at trying to bring the Big Apple taste to Kuala Lumpur. I will definitely be going again to try the asia’s spiciest pizza and the Brooklyn waffle fries. They sound delicious. 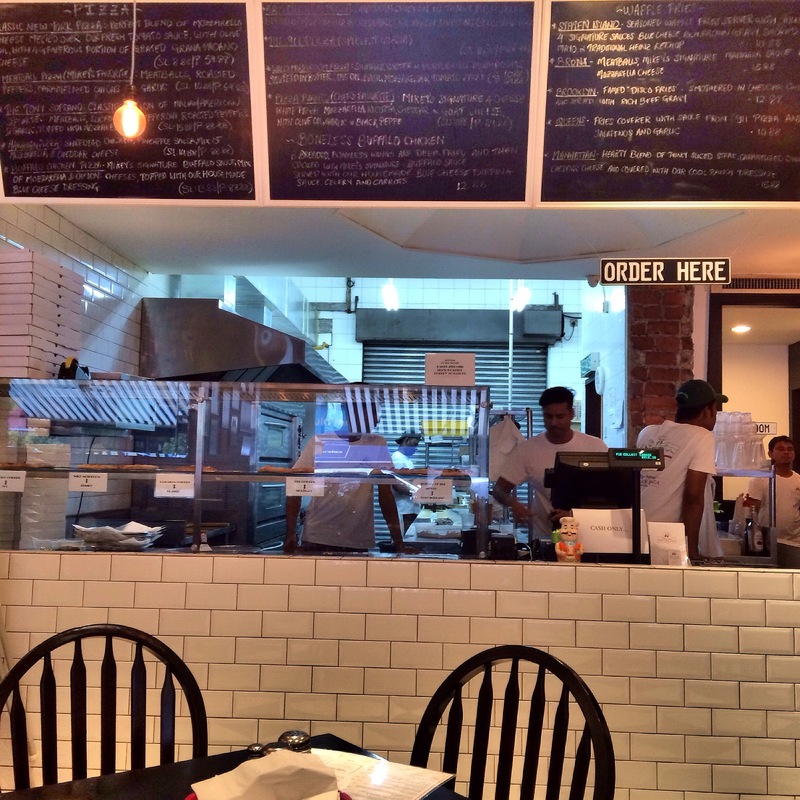 Head on over to Bangsar and have a slice of Mikey’s pizza.